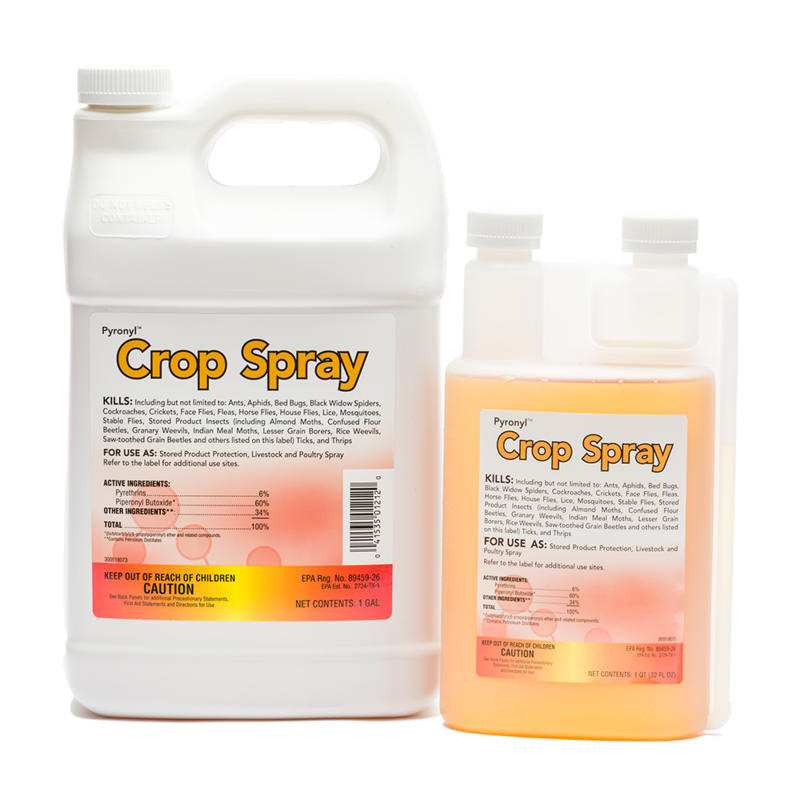 Pyronyl™ Crop Spray is a concentrated pyrethrum insecticide. It features a high ratio of active ingredients to synergist for the flushing and rapid knockdown of multiple stored product insects. Use it alone or tank-mixed with Diacon® IGR as an effective tool for applications in and around stored grain facilities. Use Pyronyl™ Crop Spray alone or tank-mixed with other insecticides for rapid knockdown and kill of heavy infestations in a stored grain facility.